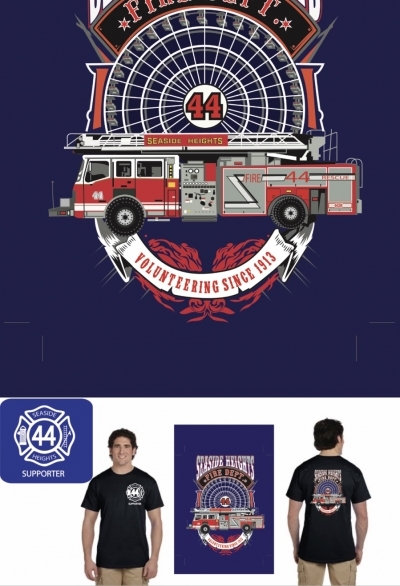 Check out our limited edition supporter shirt in the store and place your order! On December 19th Mayor and council presented Valor Awards to members of the Seaside Heights Volunteer Fire Company for their outstanding work in ocean rescues this summer when Lifeguards were off duty (L to R)Councilman Lou DiGilio,Ken Roberts,Tim Farrell,Ray Powanda,Andrew Leahy,Nick Farrell,Hunter Parks,Mayor Vaz and Councilman Rich Tompkins. Great jobs guys! This site has been viewed 17,661 times.